Daisuke Matsuzaka is a Japanese professional baseball pitcher for the Chunichi Dragons of Nippon Professional Baseball (NPB). 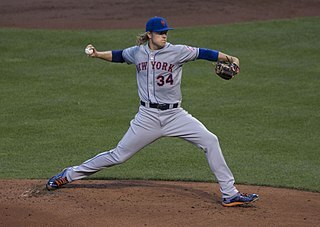 He has played for the Boston Red Sox and New York Mets of Major League Baseball (MLB) and the Seibu Lions of Nippon Professional Baseball (NPB). David Américo Ortiz Arias, nicknamed "Big Papi", is a Dominican-American former Major League Baseball (MLB) designated hitter (DH) and first baseman who played 20 seasons, primarily with the Boston Red Sox. He also played for the Minnesota Twins. During his 14 seasons with the Red Sox, he was a ten-time All-Star, a three-time World Series champion, and a seven-time Silver Slugger winner. Ortiz also holds the Red Sox single-season record for home runs with 54, which he set during the 2006 season. Charles Herbert "Red" Ruffing was an American professional baseball player. A pitcher, he played in Major League Baseball (MLB) from 1924 through 1947. He played for the Boston Red Sox, New York Yankees, and Chicago White Sox. Ruffing is most remembered for his time with the highly successful Yankees teams of the 1930s and 1940s. Scott Bruce Rolen is an American former professional baseball third baseman. He played in Major League Baseball (MLB) for the Philadelphia Phillies, St. Louis Cardinals, Toronto Blue Jays and Cincinnati Reds. He was an eight-time Gold Glove winner, seven-time All-Star and the 1997 National League Rookie of the Year. Terrence Jon Francona, nicknamed "Tito", is the manager of the Cleveland Indians of Major League Baseball (MLB). Previously, he was the manager of the Boston Red Sox, whom he led to two World Series titles, ending the franchise's 86-year championship drought. George Robert "Birdie" Tebbetts was an American professional baseball player, manager, scout and front office executive. He played in Major League Baseball (MLB) as a catcher for the Detroit Tigers, Boston Red Sox and the Cleveland Indians from 1936 to 1952. Tebbets was regarded as the best catcher in the American League in the late 1940s. Edward Grant Barrow was an American manager and front office executive in Major League Baseball. He served as the field manager of the Detroit Tigers and Boston Red Sox. He served as business manager of the New York Yankees from 1921 to 1939 and as team president from 1939 to 1945, and is credited with building the Yankee dynasty. Barrow was elected to the Baseball Hall of Fame in 1953. Eric Michael Wedge is an American professional baseball manager and former catcher, who is currently employed as a player development advisor for the Toronto Blue Jays. As a player, Wedge attended Northrop High School in Fort Wayne and played on the school's state champion baseball team in 1983. He went on to attend Wichita State University, and played on the Shockers team that won the 1989 College World Series. From 1989–1997 he played in the minor league systems of the Boston Red Sox, Colorado Rockies, Detroit Tigers, and Philadelphia Phillies, and played in 39 major league games with the Red Sox and Rockies between 1991 and 1994. Wedge went on to manage in the Cleveland Indians minor league system from 1998–2002 before being named manager of the Indians for the 2003 season. He led the Indians to a postseason berth in 2007, and won the American League Manager of the Year Award that year. He managed the Indians through the 2009 season. He then managed the Seattle Mariners from 2011 to 2013. Peter William Appleton, born Peter Jablonowski and sometimes known as "Jabby" and the "Polish Wizard," was an American baseball player, scout, and manager. 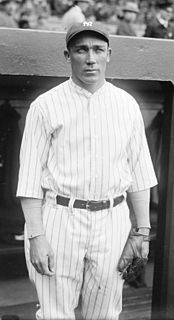 Benjamin Edwin Paschal was an American baseball outfielder who played eight seasons in Major League Baseball from 1915 to 1929, mostly for the New York Yankees. After two "cup of coffee" stints with the Cleveland Indians in 1915 and the Boston Red Sox in 1920, Paschal spent most of his career as the fourth outfielder and right-handed pinch hitter of the Yankees' Murderers' Row championship teams of the late 1920s. Paschal is best known for hitting .360 in the 1925 season while standing in for Babe Ruth, who missed the first 40 games with a stomach ailment. The 1940 Detroit Tigers season was their 40th since they entered the American League in 1901. The team won the American League pennant with a record of 90–64, finishing just one game ahead of the Cleveland Indians and just two games ahead of the New York Yankees. It was the sixth American League pennant for the Tigers. The team went on to lose the 1940 World Series to the Cincinnati Reds 4 games to 3. The 2011 New York Yankees season was the 111th season for the New York Yankees franchise. The Yankees began the season at home against the Detroit Tigers on Thursday, March 31. The Yankees clinched a playoff berth in the first game of a doubleheader on September 21, and clinched the AL East division title in the second game. 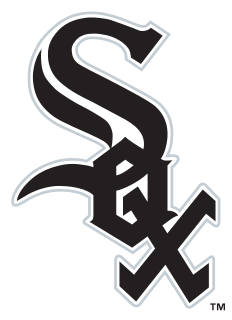 The Yankees season ended on October 6 when they lost a deciding Game 5 of the 2011 American League Division Series to the Detroit Tigers 3–2. It was the first time since 2007 the Yankees would lose an elimination game at home. Luis Severino is a Dominican professional baseball pitcher for the New York Yankees of Major League Baseball (MLB). He made his Major League debut in 2015. After a rough 2016 season, he broke out as one of the league's best pitchers in 2017, being named an All-Star and finishing third in the American League Cy Young Award vote.